In online marketing a landing page is the page that appears when a potential customer clicks on an advertisement. They can be linked to things such as search engine results, online advertisements or social media campaigns. A landing page is a powerful tool for online marketing, but can also be a topic of frustration for many. We often hear people saying their landing pages aren’t getting the conversion rates they had expected. After taking a closer look, the reason for this is that the page doesn’t follow the basic structure that makes up a good landing page. After making a few tweaks to their page, they generally see improved results! 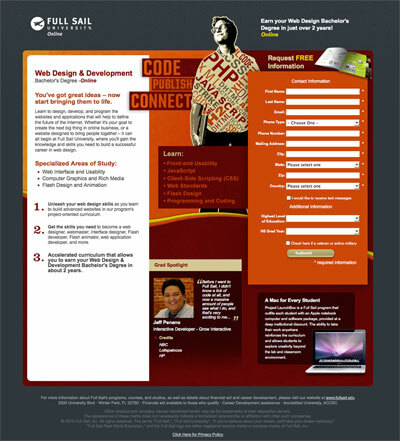 So how do you make a killer landing page? There are several different ways a person could have landed on your page. They may have done a Google search, clicked a banner ad, or typed in the address off a flyer. No matter how they landed there, it’s important to make sure that they are getting what they expected. If your ad is about sneakers and the page they land on talks about high heel boots, your visitor is going to leave. Be sure the page is what your visitors expect it to be. The action Web Trends wants you to take is to fill out their form and download a data sheet. A landing page is designed to get users to do one specific thing. Giving your visitors too many options can often mean them not making a decision at all. You probably want your customers to buy all your items, but your landing page should only focus on him/her buying the one item that is talked about. Again, it’s important that your landing page is focused. Distracting visitors with extra links encourages people to browse your site. While this is good for your home page, browsing defeats the purpose of the landing page, so strip out any unnecessary links and be sure to only focus on what you want the visitor to do. 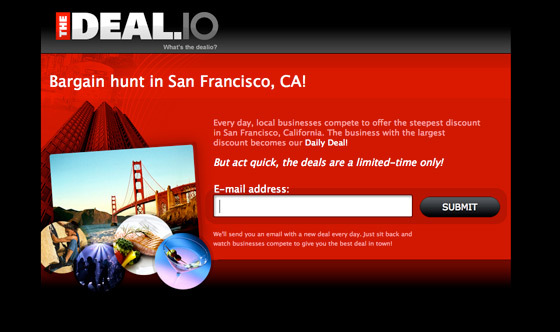 The deal.io landing page is brief and to the point. Brevity is key for landing pages. Be straightforward, focused and keep copy to a minimum. Remember, the key to get the visitor to perform a certain action, not read a novel. If your landing page isn’t giving you the conversion rates you had hoped for, you may be able to improve it with the above tips. Do you have any tips you’d like to add? Share them in the comments.